After a 4-year career in the amateur team, José Miguel Echávarri joins the professional squad’s staff. With his arrival as a work force, and together with the backing by Juan García Barberena, chairman of Inasa, the project takes a quantum leap as Reynolds embarks on the pro adventure with 12 riders. His striking pink outfit soon makes a place into the peloton and the victories, already prestigious, do not take long to arrive. 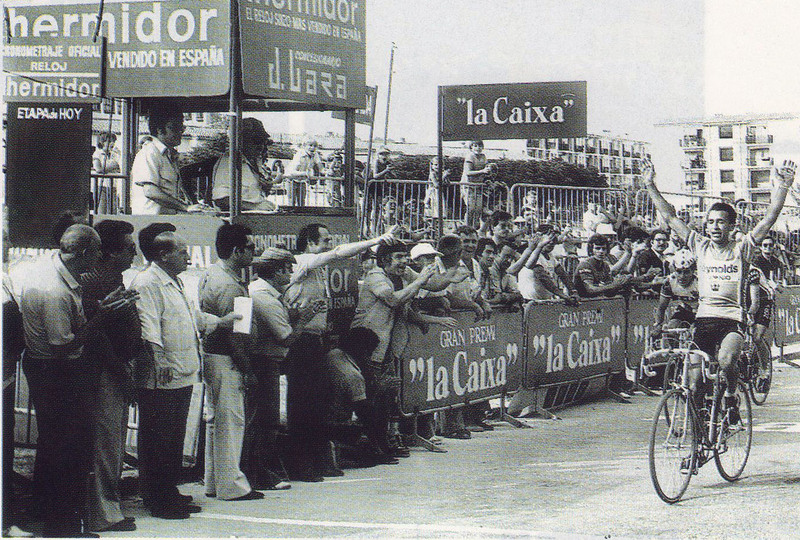 Dominique Arnaud gets the first stage victory by the team in the Vuelta a España at León. Reynolds’ first ever pre-season meeting prior to their professional debut in 1980. Above: Laguía, Iza, Azkarate y López Izcue. 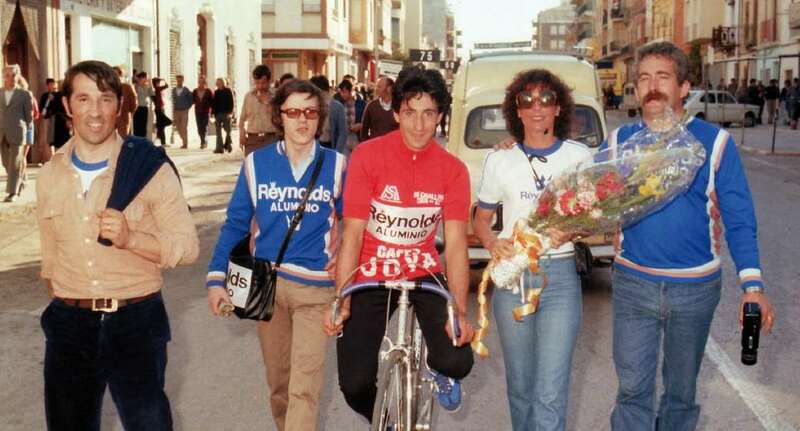 Below: Arnaud, López del Álamo, Ocaña, Acha y Segura. 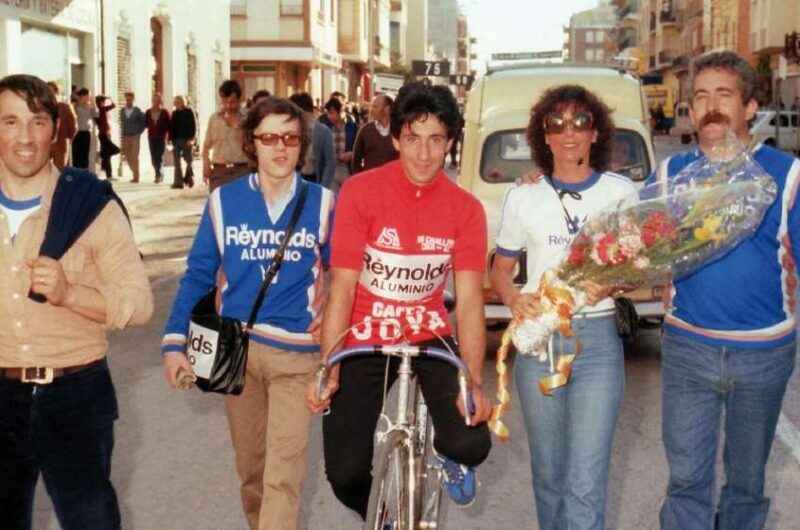 Picture taken in Campanas (Navarra), November 1979. 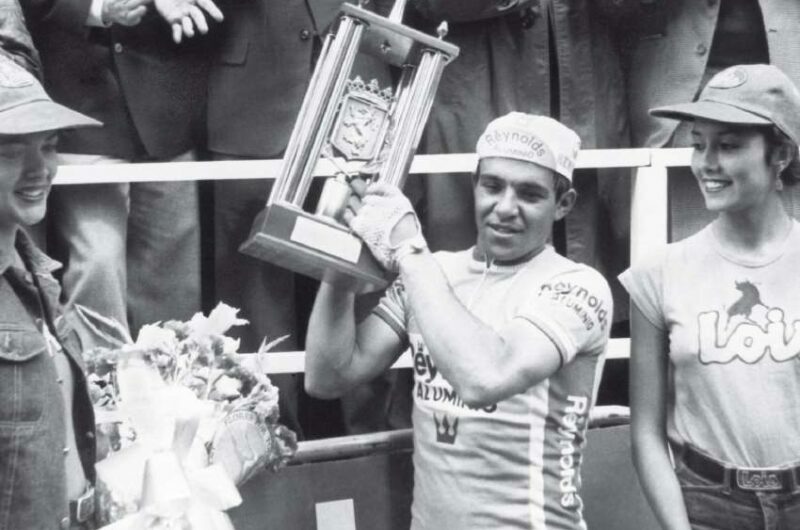 Martín Ocaña wins the Trofeo Masferrer in Catalonia, another of the Reynolds squad’s first victories in the pro scene. 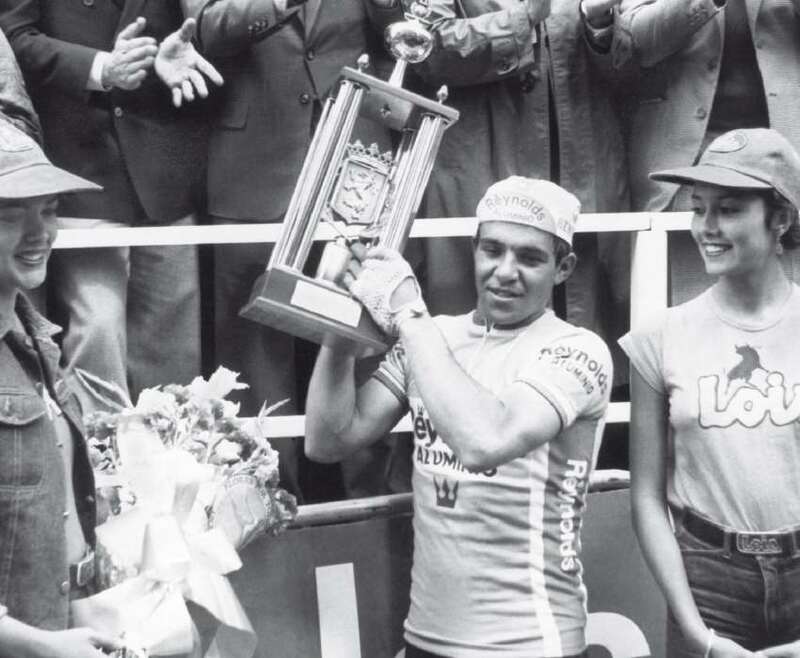 Dominique Arnaud raises his trophy as winner of Vuelta a España stage 16 in León. Segura during a race in 1980, the team’s first ever season.